Note: The content in this article is broken up by questions that have been pulled from the Leader’s Guide which accompanies the book The God You May Not Know. They have been distinguished through boldface. I’ve spent my life being overwhelmed with the wonder of the person of God, and it’s the greatest joy of my heart to share with you some eternal truths about the God you may not know. Some say the greatest question in life is: Does God exist? I say the greatest question is: Do I know the God who does exist? Do I know about Him, and do I know Him personally? You may not know God as well as you think, for He is far above us as the heavens are above the earth. The Bible says His greatness is unsearchable (Psalm 145:3). His judgments are unsearchable (Romans 11:33, NIV). His riches are unsearchable (Ephesians 3:8). Nevertheless He is knowable. According to the Bible, He has revealed aspects of Himself in both nature and in Scripture, and we can know Him who is unsearchable. In other words, our personalities will inevitably conform to our gods. If your God is the Almighty Creator of Scripture, you’ve got a lifetime of joy ahead of you. Not to mention, all of eternity to study Him, know Him, love Him, and reflect Him in your attitude, actions, and personality. What false gods dominate our age? What false gods have come into your life? According to the Bible, our God is the Everlasting Father, the God of hosts, the Lord of heaven and earth, the Author and Finisher of our faith. He is the Comforter, the Counselor, the Creator. He is the Great Physician and the God of all grace. His Name is I AM, the Alpha and Omega, and the Holy One of Israel. We can call Him Jehovah, the Most High, and the Lord of the living and the dead. He is Maker, Mediator, and Man of sorrows. He is our Prophet, Priest, and King; our Redeemer, Refuge, and Rock. 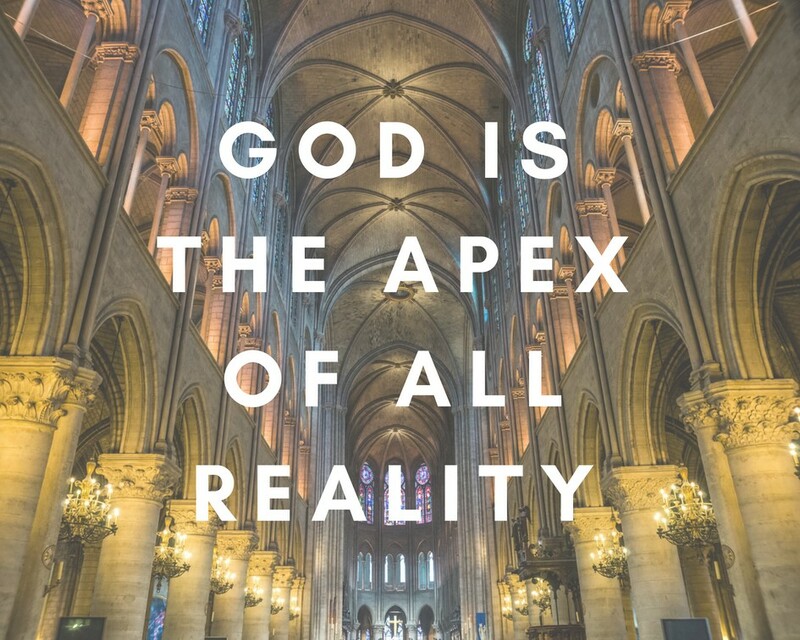 He is Ruler of heaven and earth. He is the Friend of sinners. Trying to comprehend the person of God is like trying to capture all the galaxies of the universe in a child’s prism. Yet the Bible encourages us to try. God seeks to be known, He desires to be worshiped, and He reveals Himself in His creation and in His Word. Psalm 37:3 says, “Trust in the Lord, and do good; dwell in the land, and feed on His faithfulness.” What does it mean to feed on His faithfulness? It means to feed on His goodness, on His mercy, on His power, on His presence, on His promises, on His love, and on all His endless and infinite attributes and qualities. It means to feed on Jesus, the bread of life. To me, the study of the person of God is like plunging into a bottomless sea. I can never plumb its depths, but I cannot ignore its relevance. And, oh, how it refreshes the mind and restores the soul. You can know more about God than you do, and you can be closer to Him than you are. It’s time for you to know the God you may not know; the God who loves you more than you know. Keep scrolling, and let me introduce you to some of the glories of Him who is King immortal, invisible, the only wise God, to whom be honor and glory forever and ever. Amen. I found a place. It’s east of San Diego, not far from my home in El Cajon. Forgive me for not being more specific, but that little desolate spot in East County is sacred to me and I treasure its privacy. During trying moments of my life, I go there to be alone with God. During a difficult period some years ago, I spent a lot of time there, meditating and thinking, praying and sorting out my attitudes and decisions. It was holy ground where I could be alone—yet not alone, for the Lord always met me there. As I walked the rugged trails, I sensed His footsteps beside me. When we talked together, He reminded me of His Word. I pondered Scriptures stored up in my mind, and I told Him what was on my heart and cast my burdens on Him. 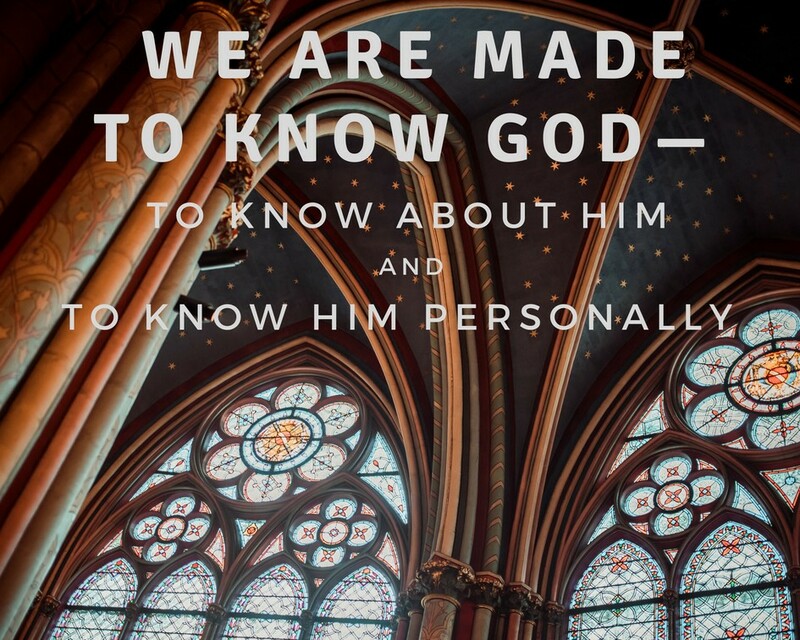 We are made to know God—to know about Him and know Him personally, as a Father, as a Friend, and as our Creator and Sustainer. When we don’t know God, we don’t really know anything. Our lives are as incomplete without Him as a sky without a sun. Our souls find rest in Him alone. The most important thing in life is not what we do, where we go, who we’re with, how high we rise, how long we live, or how influential we become. The most important thing in life is Him. Nothing compares with getting to know the God who knows us. He seeks to be known, for He has revealed Himself in nature and in Scripture. Though our finite minds can never comprehend all there is of God, our souls find rest in Him. When everything around us fails, He will never falter. When the foundations tremble, He is changeless, immovable—eternal in the heavens. When our hearts are overwhelmed, He is a rock that is higher than we. I hope to never let a day pass without drawing nearer to Him and coming to know Him better, and that’s my desire for you. We must be still and know that He is God (Psalm 46:10). Knowing implies we are growing in knowledge. When the apostle Peter was nearing martyrdom, he wrote a final note to his friends and ended with these words: “But grow in the grace and knowledge of our Lord and Savior Jesus Christ. To Him be the glory both now and forever. Amen” (2 Peter 3:18). Peter’s final letter consists of only three chapters, yet he used the word knowledge seven times. He began 2 Peter by saying, “Grace and peace be multiplied to you in the knowledge of God” (2 Peter 1:2, emphasis added). He went on to say, “His divine power has given to us all things that pertain to life and godliness, through the knowledge of Him who called us” (2 Peter 1:3, emphasis added). He told us to add to our virtue knowledge, and to knowledge self-control (2 Peter 1:5-6), “for if these things are yours and abound, you will be neither barren nor unfruitful in the knowledge of our Lord” (2 Peter 1:8, emphasis added). With his final words, peter told us to grow in the grace and knowledge of our Lord, to whom be the glory forever (2 Peter 3:18). Peter wasn’t the only biblical writer who emphasized the priority of knowing God. They all did. The psalmist, for example, put it this way, “One thing I have desired of the Lord, that will I seek; that I may dwell in the house of the Lord all the days of my life, to behold the beauty of the Lord, and to inquire in His temple” (Psalm 27:4). In other words, for the psalmist, knowing God was his ultimate priority—his “one thing.” He wanted to behold the Lord, to grow in his knowledge of God, and to learn more about Him all the days of his life. If we simply evolved from primordial sludge through random mutations caused by improbable biological accidents, we’re as good as dead in a universe devoid of hope. But if we have an eternal Creator who made us in His image, nothing could be more important than learning all we can about Him in whose image we were formed. The more we learn about Him, the more we’re awestruck with the majesty of His being. But don’t think I’m merely talking about an intellectual or theological pursuit. The knowledge of God described by Peter is deeply personal. Fearing God and growing in the knowledge of Him means we’re coming to know Him more deeply in a personal and intimate way. How closely does this verse reflect the quality of your own relationship with God? Take a few minutes right now to think it through. Is knowing God your determined purpose and priority? Are you progressively becoming more deeply and intimately acquainted with Him? Are you growing daily in your understanding of the wonders of His person? In simple terms, getting to know God is no different than getting to know another person. There are 7.6 billion people on earth, most of whom we’ll never meet. Of those we do meet, we’ll only know most of them casually or in passing. But from time to time, we meet someone with whom we develop a friendship. By spending time together, we talk to them and listen to them, learning each other’s stories. We become better acquainted. By spending more time together, our relationship grows. Our knowledge of the other deepens, and we grow in our mutual love and concern. A few of these friends become our dearest, best, and closest friends. Even then, we can’t take the relationship for granted. If time passes without communication and fellowship, we drift apart. A close friendship—a marriage, for example—requires time, effort, work, and continual communication. But is it ever worth it! Getting to know God is the same. We meet Him through Jesus Christ, who, by His death and Resurrection, has given us access into His presence. We get to know Him better by spending time with Him, conversing, talking with Him in prayer, and listening to Him through His Word. When we neglect our fellowship with God, the spiritual quality of our lives begins to dim. If we aren’t careful, we become “trained” Christians, people who have learned to do the things others expect outwardly. But while maintaining those outward traditions, we may be God-starved inwardly. This even happened to the Christians in Ephesus who, despite their outstanding Christian character, drifted from their first love (Revelation 2:4). Do you feel that has ever happened to you? That perhaps without any intention of doing so, you left your first love behind for something that seemed better in the moment? Think of the last time you attended a church service. Was your mind focused upward, singing praises to God? Were you “filled with His goodness, lost in His love” as the old hymn goes? Or were you distracted by all that was happening around you? Worship isn’t really the music. It’s not the melody. It’s not the rhythm. It’s not the lyrics. Worship is not whether we lift our hands or not, whether we clap or not. Worship isn’t the size of the choir or orchestra. Worship is loving and praising the God we personally know. Here is the key: We can only worship someone we love, and we can only love someone we know. Worship fundamentally begins in the heart when we come to know God. If we really know Him as He wants to be known, we will love Him. And if we really love Him, worship will be the explosion that takes place in our souls as we comprehend and appreciate our Maker, Defender, Redeemer, and Friend as we gratefully sing of His power and His love. Trying to manufacture that from the outside in doesn’t work. That isn’t something you do once a week on Sunday morning. It’s a matter of becoming a walking doxology, as it were, all the time, doing everything for His glory. Serious problems develop when we don’t grow in the knowledge of God. If we don’t truly know Him, we’ll inevitably create a god convenient to us. A lot of people worship a god of their own fancy, a god created out of their own hearts. They have manufactured a god that makes it possible for them to feel at ease with who they are. Let me tell you something. God is not affected by what we believe about Him. God is God, the Almighty, the Holy Creator and King whose Name is above every name. In coming to know Him, we will come to love Him. And when we love Him, worship will be an explosion from within our souls that we’ll be unable to contain. That’s why knowing God is our greatest priority. judgment, and righteousness in the earth. Have you ever name-dropped or boasted of meeting a notable person? While we don’t want to be name-droppers, we gain self-esteem from knowing someone who is well-known. Let me tell you about Kristen Piatkowski and Tucker Gladhill. In 2017, they celebrated their wedding with friends at a golf club in New Jersey. About 10:30 p.m., as the party wound down, Kristen stepped into the bathroom. Hearing a commotion in the ballroom, she quickly washed her hands and, without taking time to dry them thoroughly, rejoined the party. Standing there, to her amazement, was an unexpected guest—the President of the United States. He had been meeting upstairs and was on his way back to the White House. Seeing the wedding party, he crashed it. Kristen offered her wet hand in greeting, explaining that she had just been washing them. The President stayed several minutes, chatting with the couple and posing for pictures. Believe me, those wedding pictures will be passed down to children and every grandchild in the future. Having the leader of the free world in your wedding pictures is something to boast about. But it doesn’t come close to having the Creator of the whole world as your intimate friend. The Bible tells us we shouldn’t brag or base our self-esteem on our wisdom or education, or on our physical conditioning or financial well-being. We are to glory in Someone we’ve met, in Someone we know, in Someone we love. We should freely boast in the Lord—that we know Him and that we know about Him—that He is a God who exercises kindness, justice, and righteousness on earth. Who is the most famous person you’ve ever met? How did it feel meeting them for the first time? How does it feel to have a highly-admired person as your friend? Can you recall the last time when you truly boasted in knowing God? Our self-image should be rooted in our Creator who made us in His image, who loves us, and who wants us to know about Him and to enjoy unbroken friendship with Him. 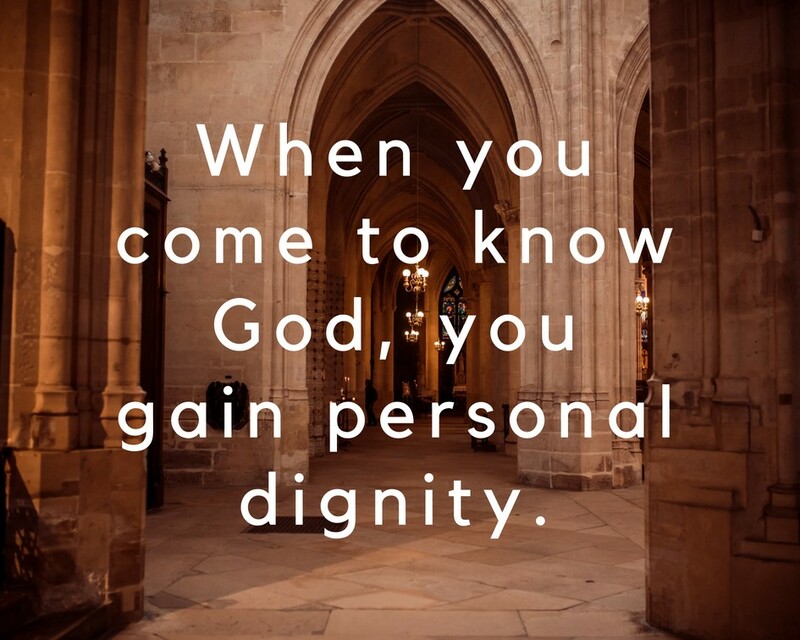 When you come to know God, you gain personal dignity. Knowing God isn’t just a matter of priority and dignity; it brings a maturity to our lives available from no other source. The apostle John referred to this when he wrote: “I write to you, little children, because your sins are forgiven you for His name’s sake. I write to you, fathers, because you have known Him who is from the beginning. I write to you, young men, because you have overcome the wicked one. I write to you, little children, because you have known the Father. I have written to you, fathers, because you have known Him who is from the beginning. I have written to you, young men, because you are strong, and the word of God abides in you, and you have overcome the wicked one” (1 John 2:12-14). According to this passage, there are stages of growth and maturity in the family of God, just as there are in a physical or human family. Some are like children. “I write to you children because your sins have been forgiven.” Do you know people who have been in the faith a long time, but when you try to have a spiritual conversation with them, all they know is their sins have been forgiven? They’ve been saved, but they don’t know much biblical truth. While it’s wonderful to know our sins are forgiven, if that’s all we know we’re at a childhood level. How much better to experience growth and become a young adult. John said a person who is like a young man in the family of God has experienced some spiritual victories in life. He’s overcome the evil one. As we progress in the faith, we learn, sometimes to our surprise, that forgiveness of sins doesn’t mean the absence of problems. Though we are God’s children, we still face trials and temptations. By grappling with those problems with faith in Christ, we begin to grow. We begin learning more about God’s will and His ways, and we learn bits of spiritual truth that give us more success in our lives. That’s what it’s like to be a young man or woman in the faith. Maturity comes as you get to know Him who is from the beginning, progressively, more deeply and intimately. There is a huge gap between being a child and a young man, but it isn’t anything compared to the gap between being a young man and being a father. One Sunday when I spoke on this topic at my church in California, I looked out over the audience and wondered what it would be like if all the Christians in the crowd could be separated into three groups—those who were infants; those who were young people; and those who were adults. What distinguishes each of these groups? How do you feel about going to the next level? Which group are you in? Maturity comes as we grow in our knowledge of Him, when our determined purpose is to progressively know Him more deeply and more intimately. Those who do exploits for the kingdom are those who walk intimately with the King. According to Daniel, there is a great sense of energy and strength wrapped up in knowing God. Daniel wrote those words in Babylon. As a youth, he was seized in Jerusalem, ripped away from his family and from the covenant religion he had known, and transported to Babylon as a slave of King Nebuchadnezzar. No one declined Nebuchadnezzar’s orders. He was a wicked, despotic king who killed or spared whoever he wanted. Yet “Daniel purposed in his heart that he would not defile himself with the portion of the king’s delicacies, nor with the wine which he drank; therefore he requested of the chief of the eunuchs that he might not defile himself” (Daniel 1:8). How was he able to do that? Because he knew his God. Every time I read this story, I stand a little straighter and a little stronger. Aren’t you tired of Christians always being the victims? We aren’t the victims. We’re the victors! And the only difference between being a victim and a victor is knowing God. We have authority. If God be for us, who can be against us? The people that do know their God shall be strong, and do exploits. Do you feel a sense of energy from your spiritual life? What kind of exploits would you be doing if our relationship with Him was stronger? The Bible says, “God…gives grace to the humble. Therefore humble yourselves under the mighty hand of God, that He may exalt you in due time, casting all your care upon Him, for He cares for you” (1 Peter 5:5-7). Our world is filled with cares, and we can’t read the paper or watch television without, humanly speaking, feeling a creeping sense of despair. But when we drill into the Word of God, we find powerful testimony about the sovereignty of God. The Bible says, “God…is the blessed and only Sovereign, the King of kings, and the Lord of lords” (1 Timothy 6:15, CSB). The word sovereignty is one of the most triumphant terms in our vocabulary. Sov is the Latin prefix for “over and above.” God is the Sov-Reign because He reigns over and above all, “far above all principality and power and might and dominion, and every name that is named, not only in this age but also in that which is to come” (Ephesians 1:21). What is the connection between your humility before God and your trust in God? Think of someone you respect whom you’ve gotten to know better. Has your deepening friendship in a greater level of trust? How has that shown itself in your friendship? How does this apply to your walk with God? When we speak of the sovereignty of God, we’re referring to His absolute control over everything from the tides of history to the details of our days. The Most high rules over heaven and earth, over the large and the small. Psalm 115:3 says, “Our God is in heaven; He does whatever He pleases.” The more we realize this, the healthier our sense of humility and servanthood will be. This is the theme of the aforementioned book of Daniel: “His kingdom is an everlasting kingdom, and His dominion is from generation to generation” (Daniel 4:3). He continued, “Not I, Nebuchadnezzar, praise and extol and honor the King of heaven, all of whose works are truth, and His ways justice. And those who walk in pride He is able to put down” (Daniel 4:34-37). Do you have that kind of serenity? Why would a better understanding of the sovereignty of God enhance our serenity? How can you better grasp the endless expanse of God’s sovereignty? When theologians talk about the attributes of God, they are referring to His characteristics, qualities, and features. As we study the vastness of creation and the infallible words of Scripture, we can learn something of what God is like. He is infinite—without beginning or ending in time. He is omnipresent—always present in every place. He is holy—without a trace of evil or deception about Him. He is also a loving God. He is powerful. He has wondrous attributes. If you and I could talk awhile, we’d get to know one another’s problems and burdens. But God already knows about them. He hasn’t gone to sleep and he’s not on vacation. Nothing catches Him unaware. He is in charge. He’s in control. When you know your God, you gain a sense of humility that allows you to trust One greater than you. When you know your God, there’s a sense of confidence every day. God and you represent a majority no foe can overcome. Our greatest priority is getting to know the God we worship. It’s our dignity and our maturity. It imparts a sense of authority. It enhances our humility and serenity. Let’s begin by praying as Paul did: “Lord, may our determined purpose be to know You—to progressively become more deeply and intimately acquainted with You, perceiving and recognizing and understanding the wonders of Your person more strongly and clearly. A. W. Tozer, The Knowledge of the Holy (New York: Harper & Brothers, 1961), 9. Quoted by J. I. Packer in Knowing God (Downers Grove: InterVarsity Press, 1973), 18. A. W. Pink, The Wisdom of Arthur W. Pink: Volume 1: The Holy Spirit, The Attributes of God, The Sovereignty of God (Wilder Publications, 2009), 332. 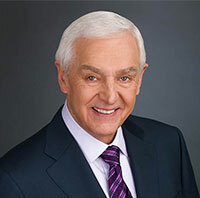 Dr. David Jeremiah is one of America's most trusted Bible teachers. For more than 36 years he has helped millions deepen their understanding of the Bible through 8,761 daily Turning Point Radio releases and a weekly Turning Point Television program that reaches millions of people weekly. P.O. Box 70509 RPO Oak St. 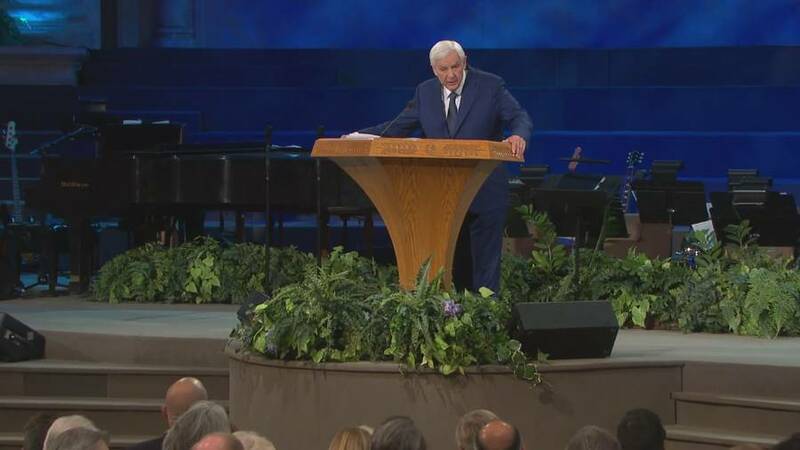 Copyright 2000 - 2019 Dr. David Jeremiah | Turning Point for God. All Rights Reserved. Turning Point for God is a tax-exempt, not-for-profit, religious corporation as defined under Section 501(c)(3) of the Internal Revenue Code. Your donation gift(s) are very much appreciated and are fully deductible as a charitable contribution.